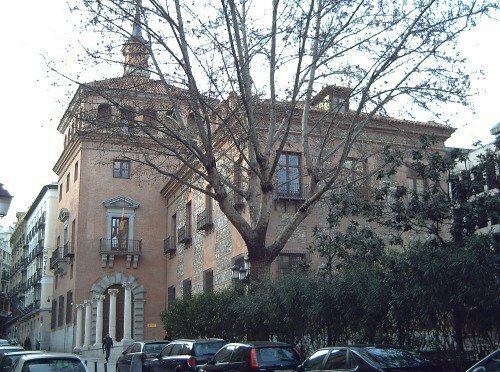 The former mansion house of the Ayala Berganza family, with a rectangular shape and a gothic style stands in the middle of the old San Millán faubourg, near the Romanesque church which gave its name to the neighbourhood. In the XVIII century it passed into the hands of the Ayala Berganza family. The painter Ignacio Zuloaga was born in 1870 at Eibar in the Basque Country. Son of a inlay worker, he was immersed very young in the artistic world. He was educated by the Jesuits and, extremely talented, started exhibiting in 1887. At the Museo del Prado, he copied Spanish painters like Velázquez or El Greco and consider Zurbaran, Ribera or Goya like his masters. In 1890, he settled in Paris where he worked with Eugène Carrière. He met Toulouse-Lautrec, Gauguin, Degas, Jacques-Emile Blanche and exhibited at the Salon that year. Between 1890 and 1894, he is very attached to Gaugin and Emile Bernard. His palette brightened and seemed to be influenced by Impressionism. In 1898, Zuloaga moved to Segovia and lived with a family member, Daniel Zuloaga (1852-1921), one of the greatest Spanish ceramists at the time. The colors of his paintings then became darker. The quarter of San Millán, also known under the name of "quarter of witches" has a legendary history that marked it forever. The painter Zuloaga, among other artists, greatly contributed to this reputation. Where does the name "quarter of witches" come from? It can all be explained from the famous event that took place at the Ayala Berganza family's place, in the afternoon of May 30, 1892. Its inhabitants, the landowner Alejandro Bahín and his servant were killed by three crooks who where then sentenced to the garrotte. A news item worthy of a horror story: the house was known since then as the house of crime. 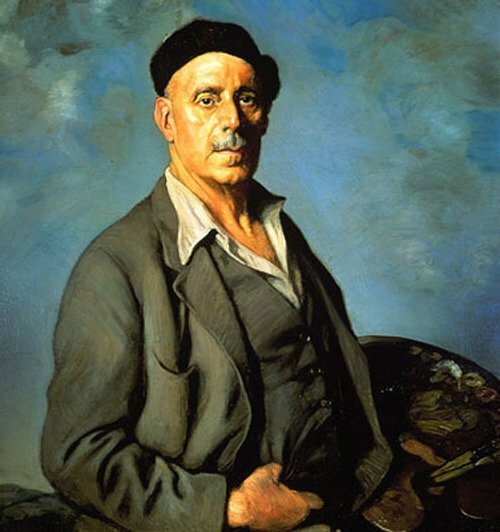 In 1902, Zuloaga and his friend, the painter Pablo Uranga settled there. According to popular belief, Uranga would have witnessed a nocturnal assembly of witches to invoke the devil, in the basement of the house. 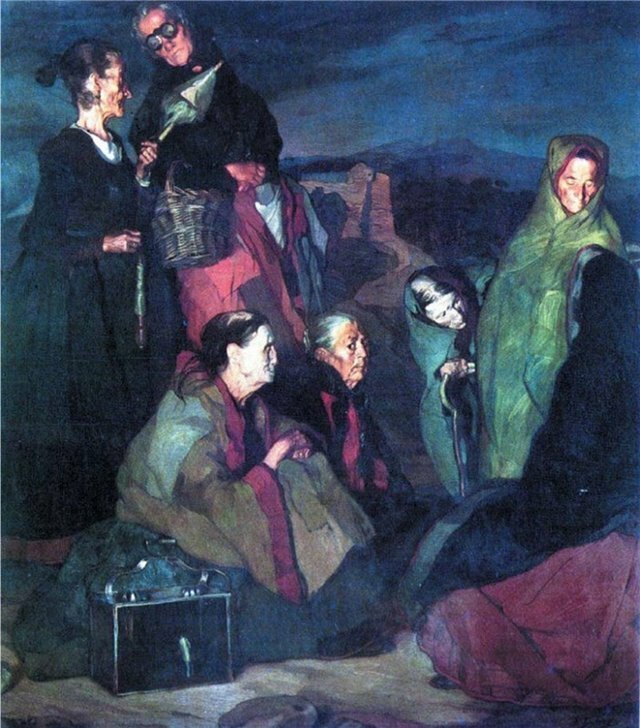 Uranga's story probably inspired Zuloaga to create his painting "The witches of San Millán" dating from 1907.